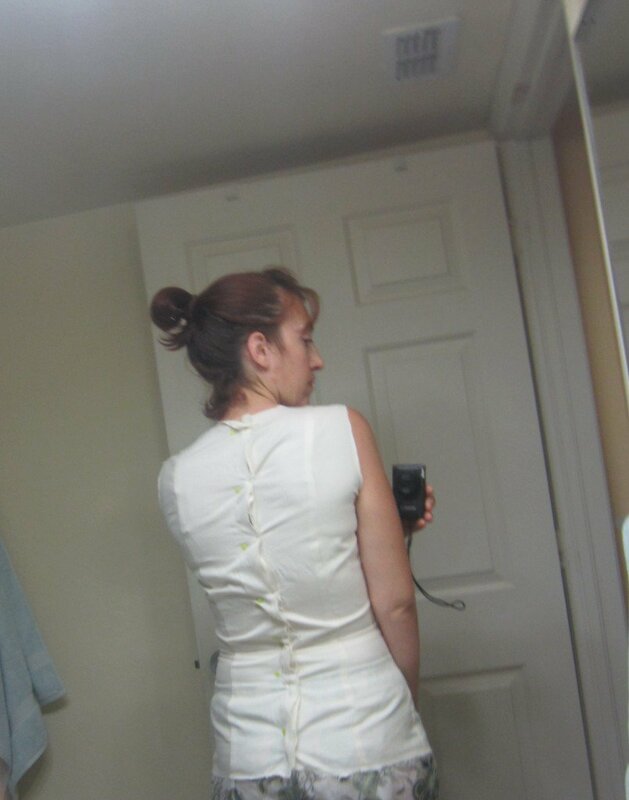 I’ve been working on making up my bodice moulage, a precise fabric blueprint of the upper body, with Suzy Furrer’s Craftsy class, Patternmaking Basics: The Bodice Sloper , on and off since the beginning of the year. 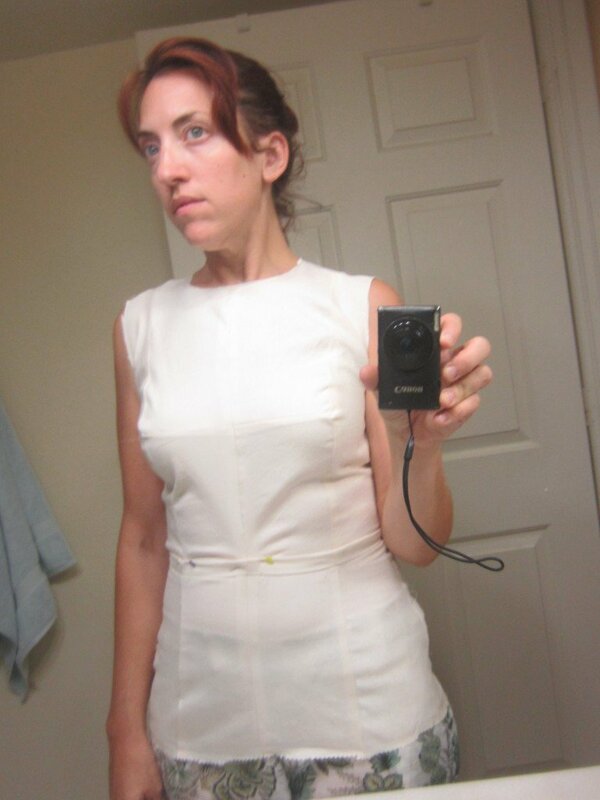 My first version looked great except for the waist which was way too big. So I went back to check my measurements,lo and behold, I lost a whole 2.5″ off my waist and 1″ off my hips in the last few months. So back to the drawing board I went and redrew the whole thing. A hassle for sure, but I was so happy to be back to my pre-kids measurements that you won’t see me complaining! My 4mi+ daily walks to my son’s school are definitely paying off. My fit the second time around was almost spot on. 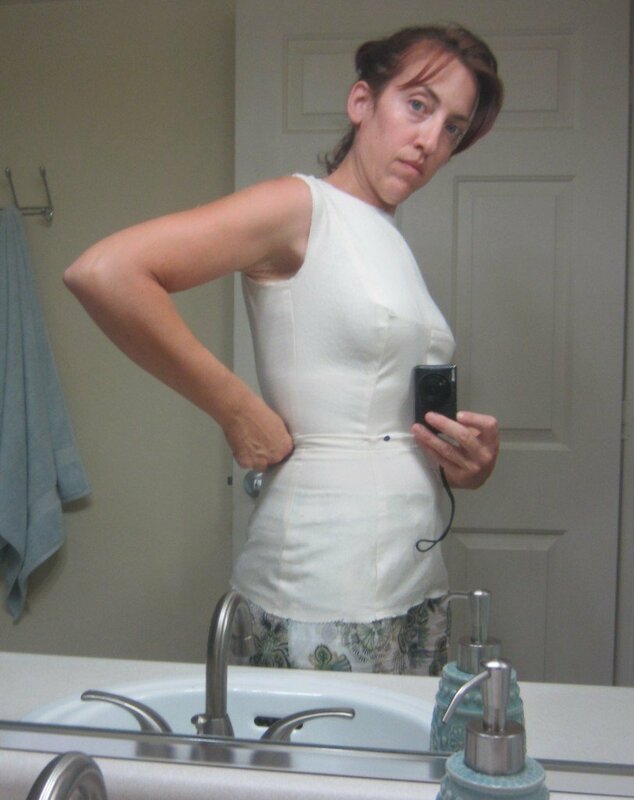 It’s meant to be tight and fitted while the sloper adds back in ease. The only change I made was to raise the waist up 1/2″ since it was hitting below my belly button, but other than that looking good. In the images below you can see my finished moulage and cut out slopers, which still need to be transferred to a sturdier board. There are 11 video lessons in all. I have two lessons left, Transferring the Sloper to Tag and Bodice Sloper Design Options (with options for both woven and knit fabrics). This class is really addictive. 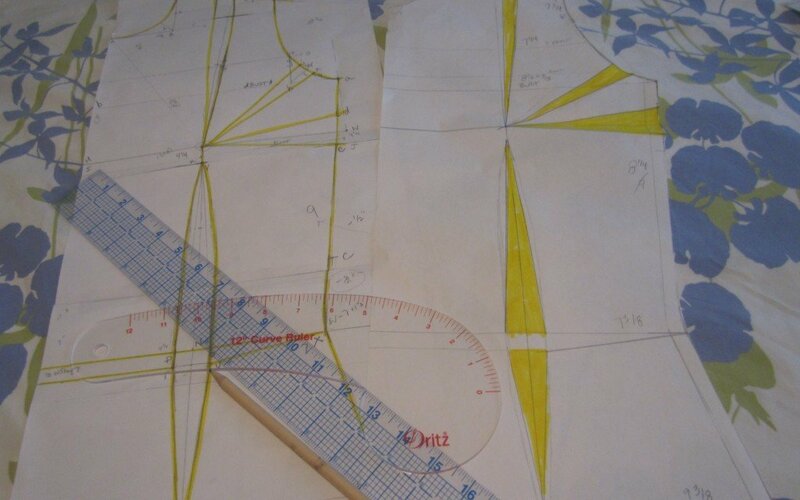 I love doing the math and working on drafting the pattern like it’s a puzzle. Such fun- I’m hooked! 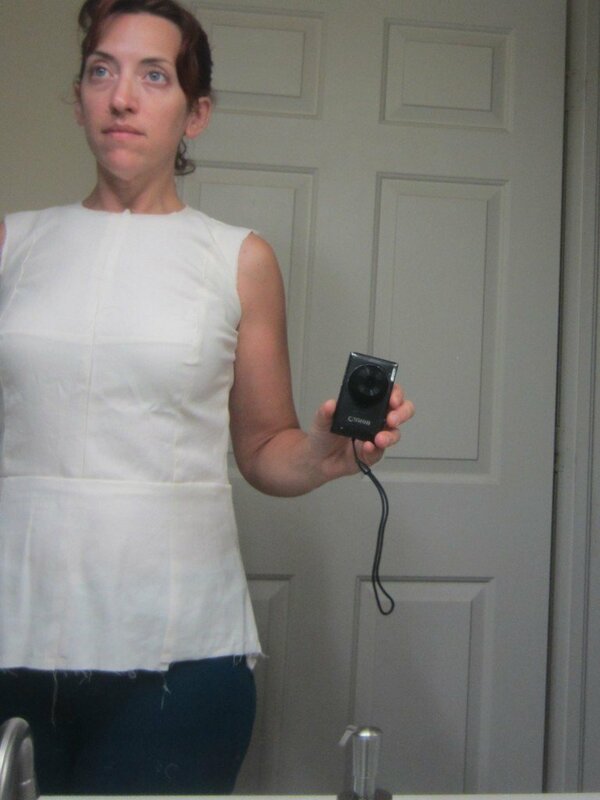 I’m now thinking that I’d like to make my future slow fashion business bespoke somewhere down the line. I’m already signed up for Suzy’s *Pants Sloper Class! Can’t wait to get started after I finish up this one. I thought one of the most interesting things I learned from drafting my moulage was realizing how very straight my shoulders are. They are not nearly as sloped as most patterns and examples I’ve seen. Mine go almost straight out. 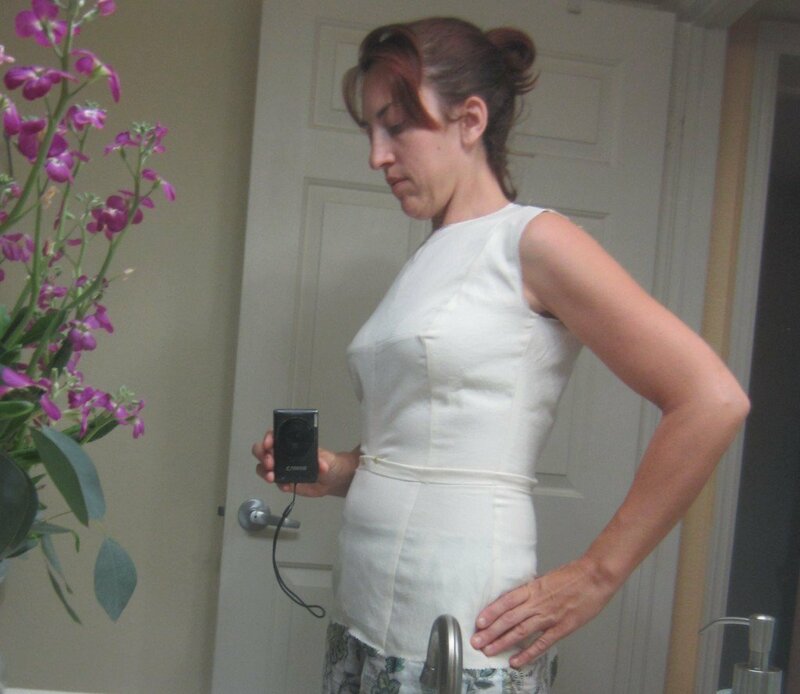 I think this is one of the reasons I often need to alter my bodices by adding length since my torso isn’t exceptionally long. When I was a teenager I had the absolute worst posture and worked quite rigorously to correct my slouch resulting in my now very straight stance. Have you made your own sloper/moulage before? I’m so excited to experiment more with my own designs. 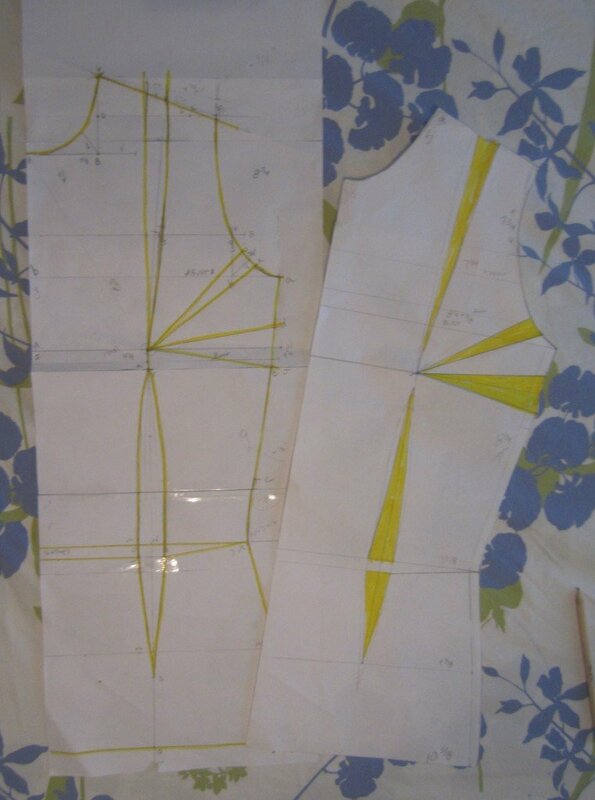 Plus this was just the primer I needed to learn more patternmaking. I’m really hoping when we move over to the other coast I’ll be able to take some more courses in design and patternmaking at one of the fashion schools nearby. Affiliate Links- I am a new Craftsy affiliate but bought this class myself. I become an affiliate after taking a few classes and LOVE them. Wow Rebecca, this looks amazing! You have absolutely nailed the fit, and I can imagine how much work you’ve put into this. You should be really proud of the result! I’ll be very curious to see how you like the pants sloper class. I’ve been working (slowly) on my own pants sloper, and it is quite a challenging project! I bet the videos will be a great resource for this. Thanks so much Carolyn! I’m so happy with the fit! I’m really looking forward to the pants class too. The videos really do make the lessons easier to follow. Plus there a great reference. I think the challenge is what really makes it fun. I’ve got that class and the pants one too. I am doing the pants one first. You’re right there are a lot of numbers involved, but it’s needed for proper fitting. You did a good job! Really interesting information and photos. Perfect fitting, looks really good. 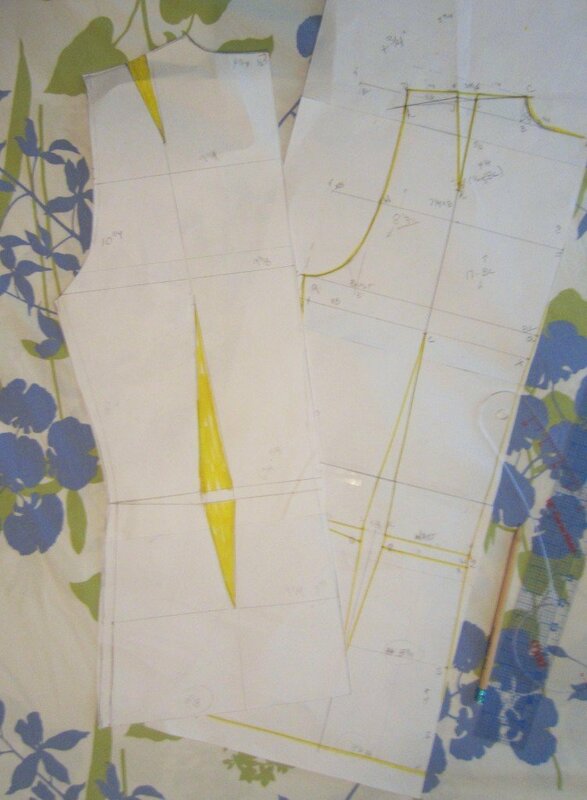 I have the class too, but so far I’ve only done the measurements but hoping to go back to it soon. I’d like to see how the pants turn out. Thanks so much! It took me about 4 months to get this far, but it’s such fun! I’m really looking forward to making use of the sloper.